Mum always made them on Christmas morning and I’m carrying on the tradition. They’re SOOooooooo quick and easy and everybody loves them. They take about 15-20 minutes and that includes baking them! 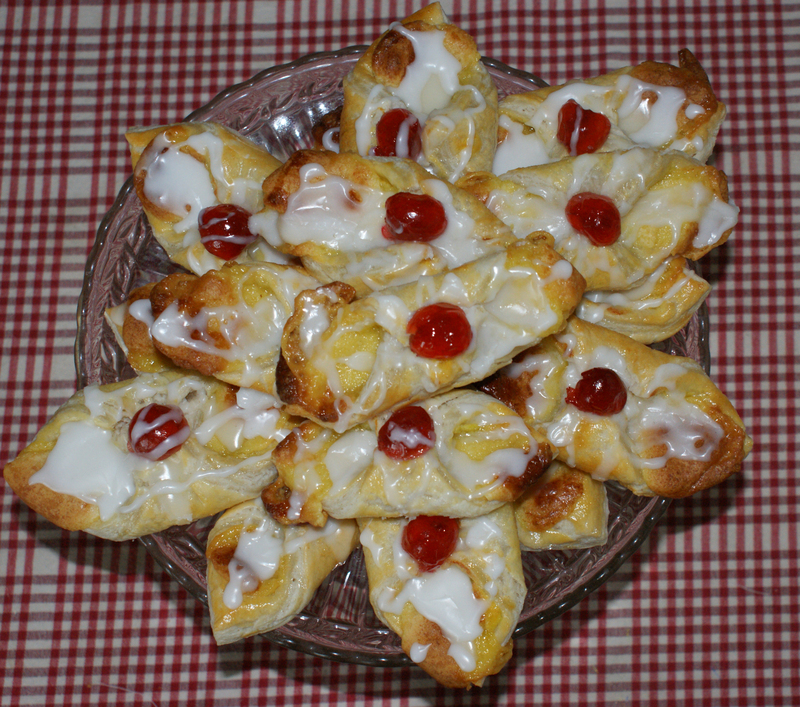 1 pack of puff pastry – rolled into a square and cut into 16 little squares. Brush with beaten egg. Marzipan pieces – rolled into thin sausage shapes and placed diagonally across each square. Squish so it’s not overlapping the ends – it melts a bit and oozes all on its own. Fold corner of pastry across the marzipan sausages, press to stick together and brush the tops with beaten egg. Cook on a baking tray at 200 C for approx 10-12 minutes – until pastry is golden brown and marzipan is bubbly. 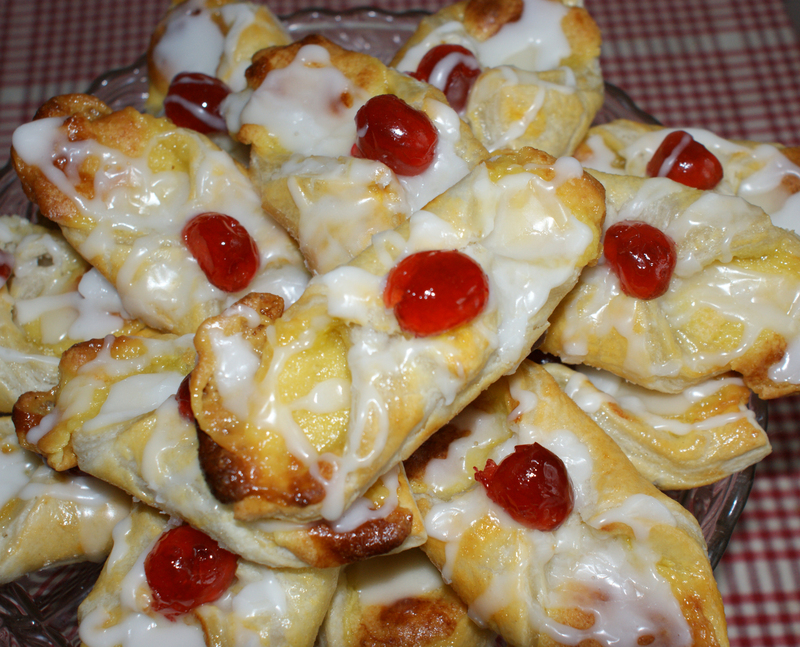 Drizzle with glace icing and top with half a glace cherry. Stacked up on a pretty glass plate they look amazing and taste even better. You could make them tiny and call them petit fours. They’re perfect for a party and the boys’ eyes lit up this morning when they saw them “Brilliant Mum – you’ve made these again”. They won’t last long I suspect! 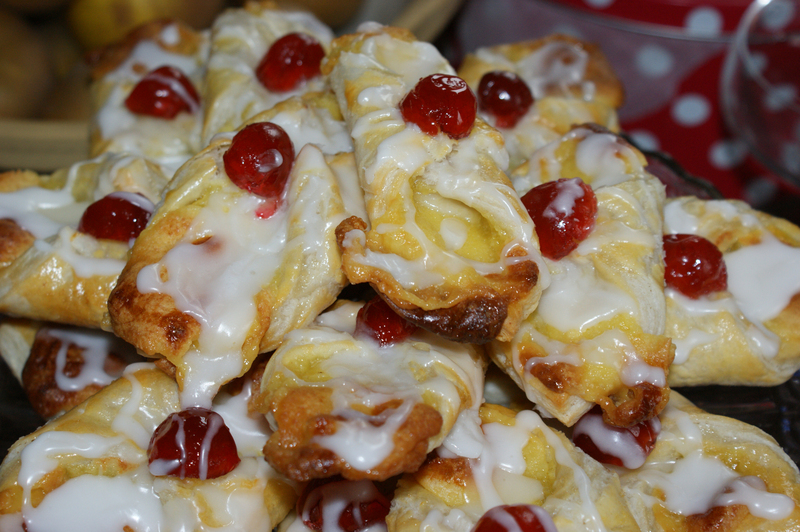 Just what Christmas baking should be – quick, easy and popular. You are currently reading Christmas day showstoppers … at Adaliza.